Suggested use: 1 capsule per day, morning and evening. Acute cold or flu-like symptoms 1-2 capsules 2-3 hourly. Olive Leaf extract may be used as a supplement or alternative to assist with cold or flu-like symptoms, to enhance kidney function or assist the digestive tract, relieve fever and can be used as an immune booster. 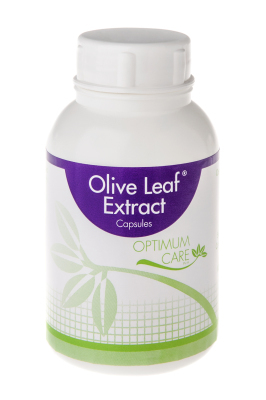 Olive Leaf extract acts as an antioxidant, anti inflammatory and disease fighting agent making it a beneficial supplement for immune system support, to enhance healthy kidney function and promote healthy blood pressure. 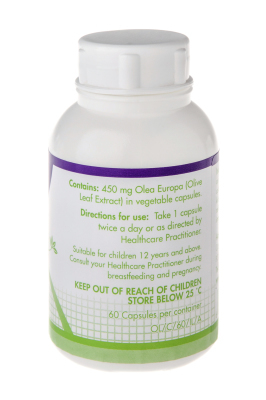 As well as assisting with cold and flu, Olive leaf extract's antiviral, antifungal and antibacterial properties assist digestive tract bacterial balance and aid in health digestion. Oleuropein, the one of the primary compounds in Olive leaf extract, is a strong antioxidant which acts by combating the damage caused by free radicals in the body. Olive leaf extracts strong antimicrobial action paired with this antioxidant effect makes it a potent immune support.